Extracts from 2 Wing Historical Reports pertaining to the MSE Section. 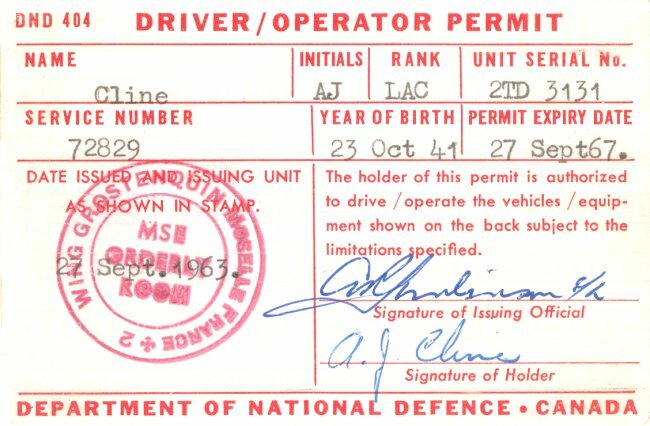 Front of DND 404 Driver/Operator Permit - 27 September 1963. 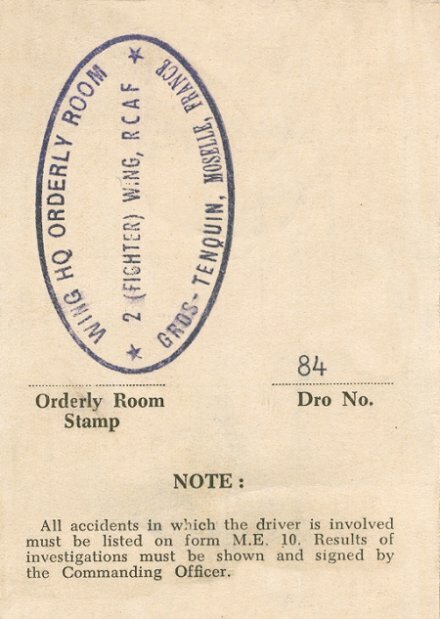 Back of DND 404 Driver/Operator Permit - 27 September 1963. 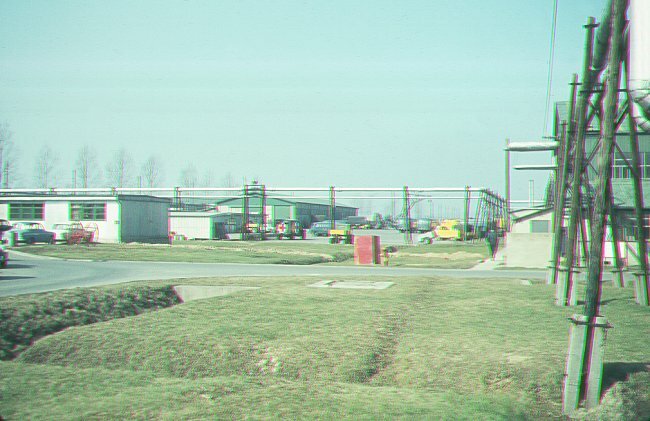 MSE compound area - July 1963. 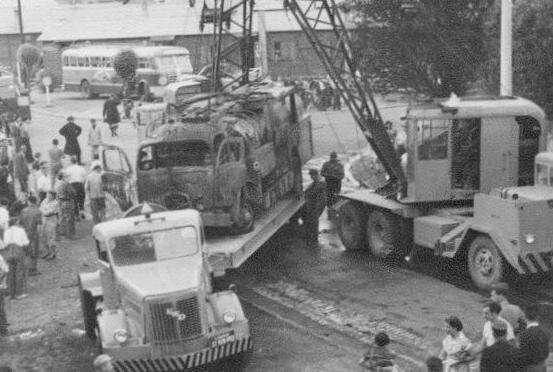 Safe & Skilled driving competition - 7 October 1960. 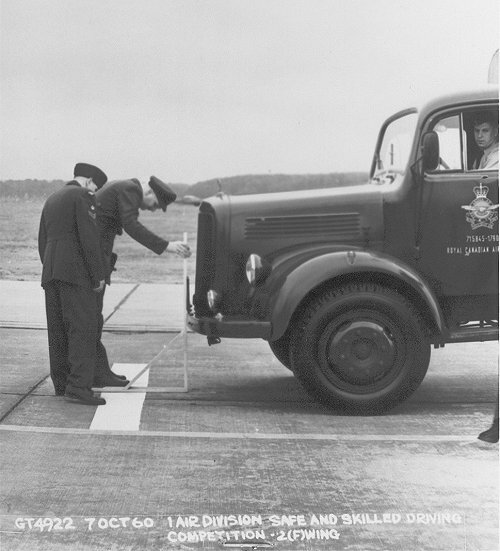 Front of RCAF ME Operators Permit - 26 April 1957. 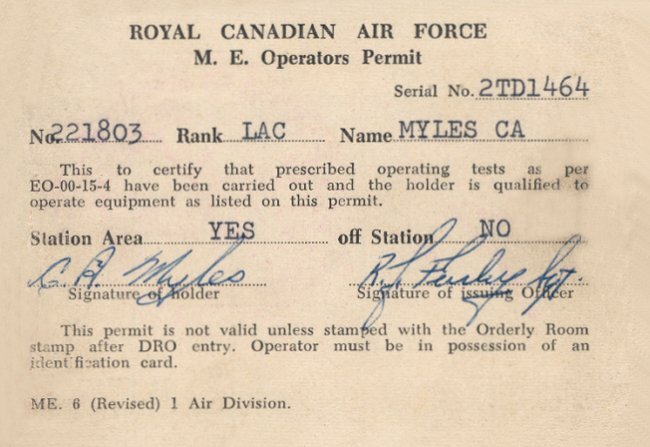 Insert of RCAF ME Operators Permit - 26 April 1957. 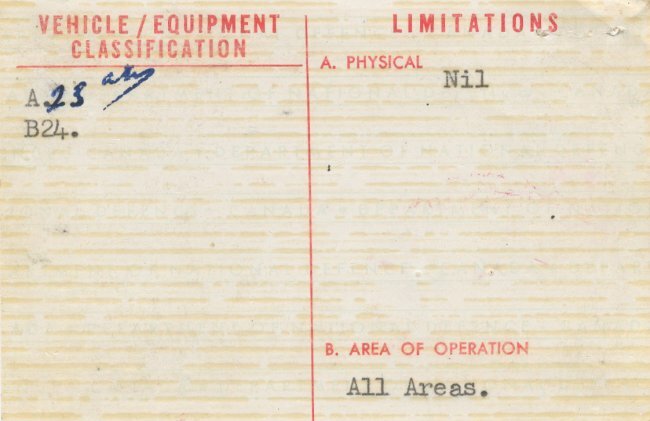 Back of RCAF ME Operators Permit - 26 April 1957. 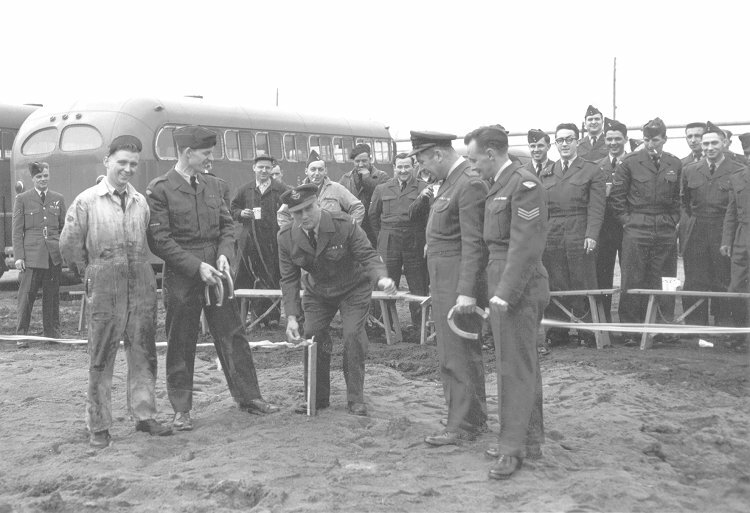 Op MSE and MSE Techs competing in a horseshoe tournament - April 1956. 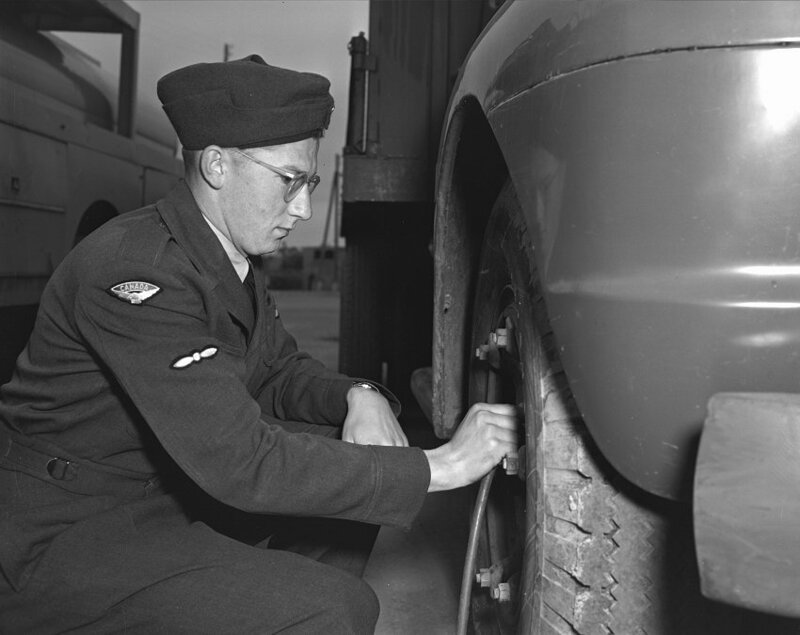 LAC Mazuerek checks tires on a truck - 17 September 1954. He won 3rd place in an MSE Rodeo. Courtesy Canadian Forces Joint Imagery Centre PL-81469. 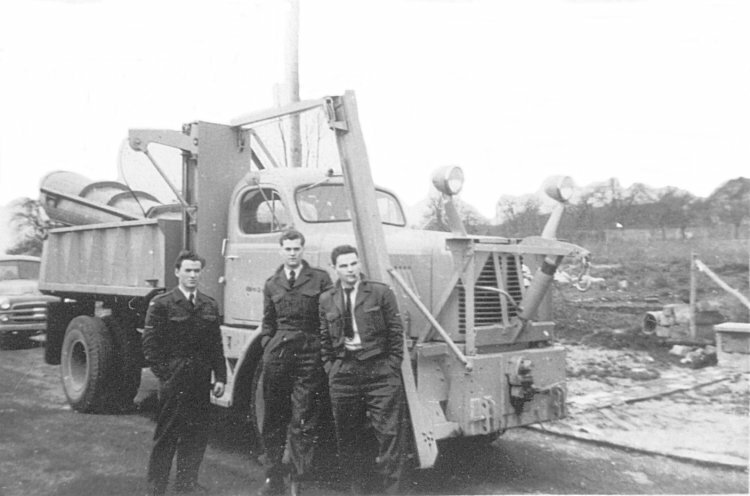 (L-R) Cpl Alan Richars, Don Manders, Robie Ashley in front of the MSE section - June 1954. 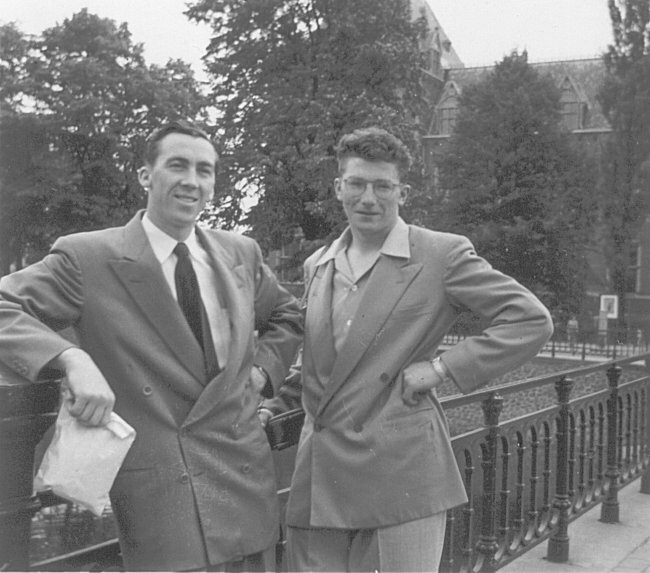 (L-R) Don Caldwell, Al Mazurek (deceased) - June 1954. This photo was taken in Amsterdam. 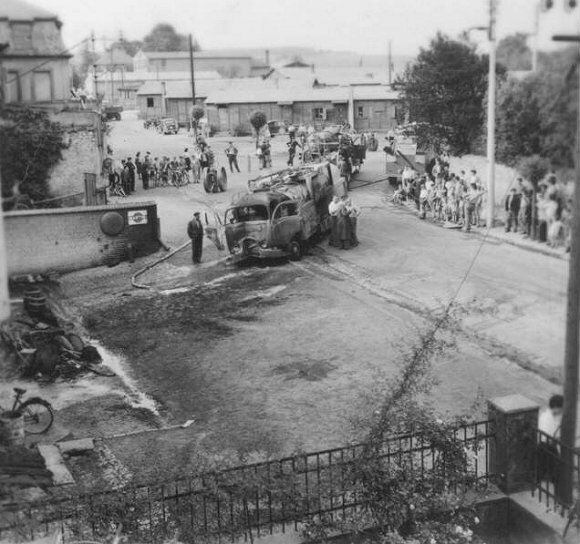 This fuel bowser was full of jet fuel at the stop in front of the "Hotel du Nord" when it caught fire - 21 June 1954. 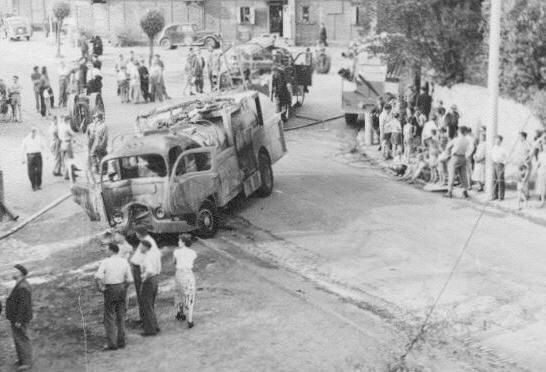 A closer view of the fuel bowser after the accident - 21 June 1954. 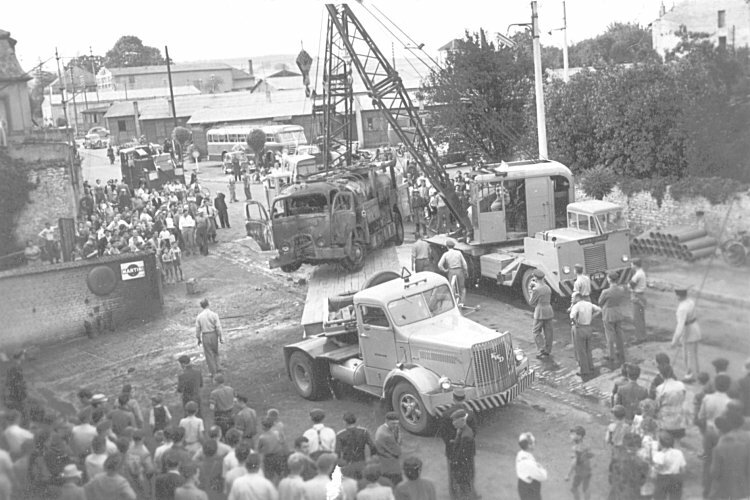 A crane is used to lift the bowser onto a flatbed truck - 21 June 1954. 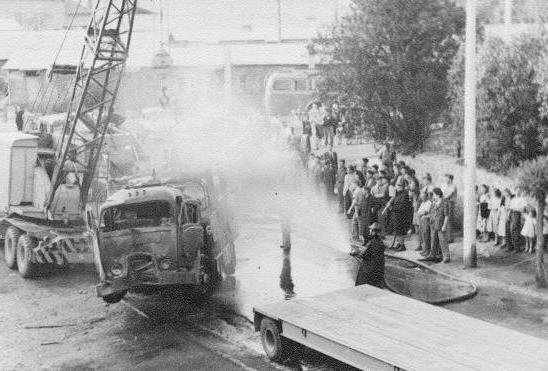 Removal of the bowser by flatbed truck - 21 June 1954. 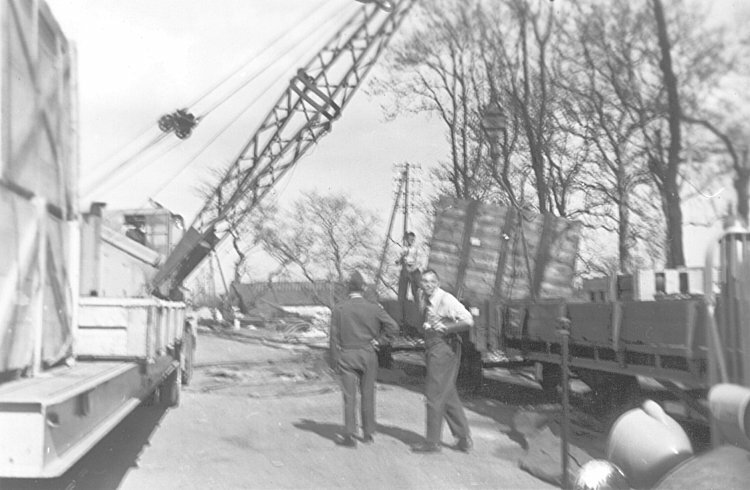 Unloading freight at the Faulquemont rail yard - April 1954. 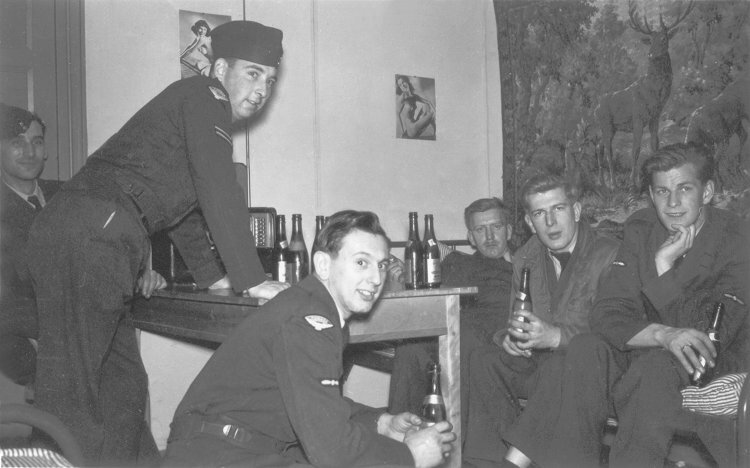 MSE personnel having a quiet party in the barracks - December 1953. 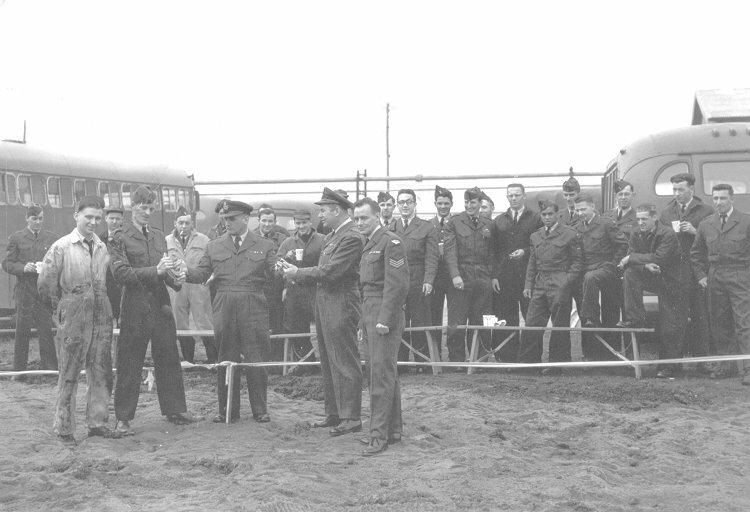 (L-R) Hofman, Alan Richards, Regan, Sullivan (not MSE), Olsen, Ferris. 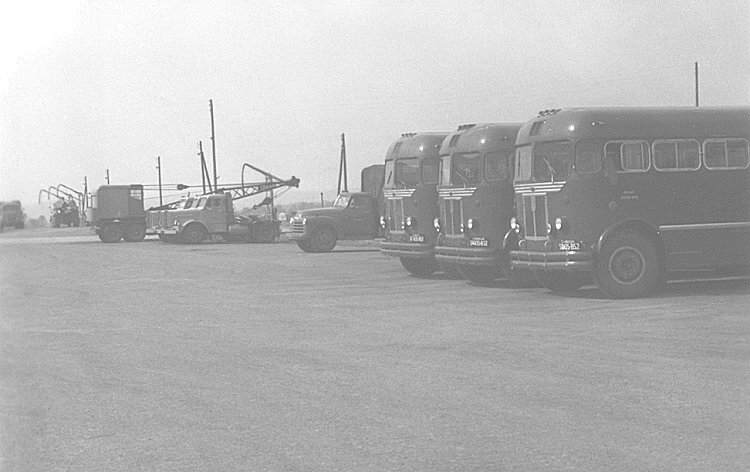 Western Flyer buses parked at the MSE section in 2 Wing - July 1953. 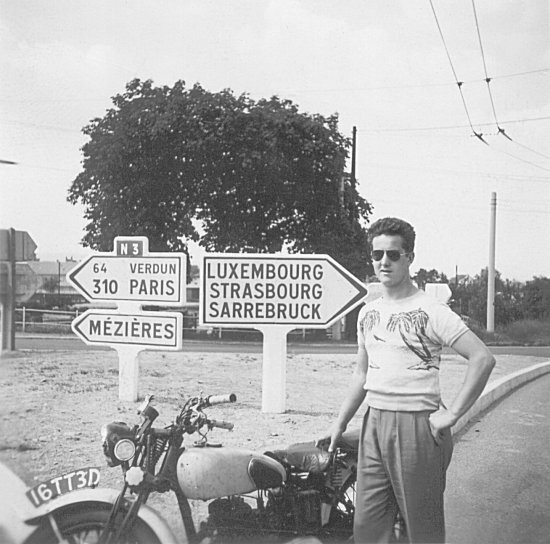 Bob Fortier (MSE section) with my 1939 Royal Enfield at Metz - June 1953. 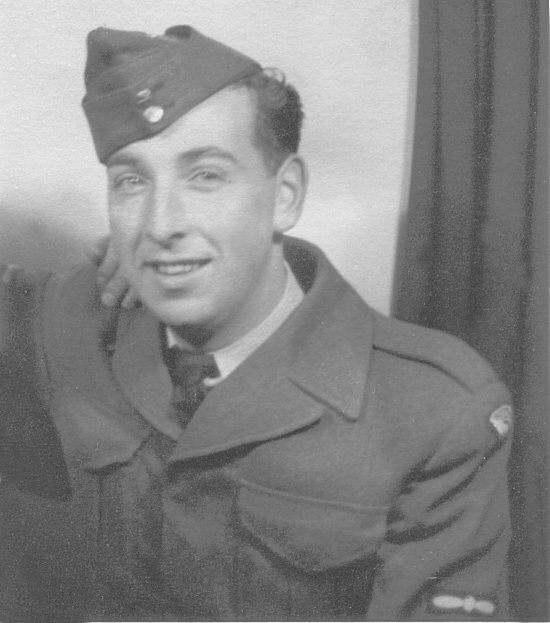 LAC Alan Richards - March 1953. 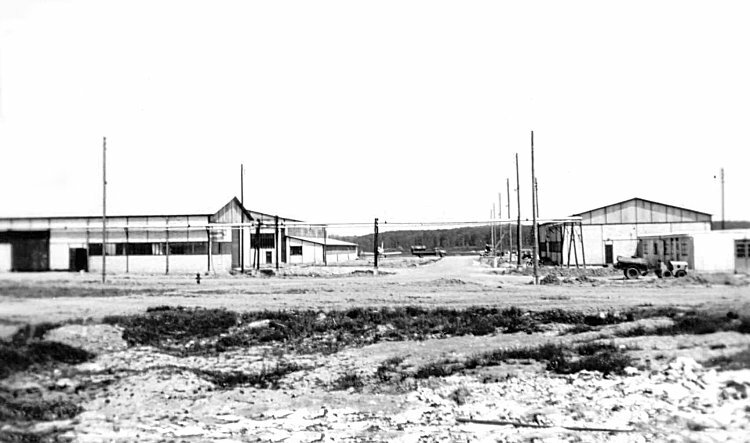 Some of the MSE buildings which were operational at the time - January 1953. MSE section Christmas party in the Social Center - December 1952. 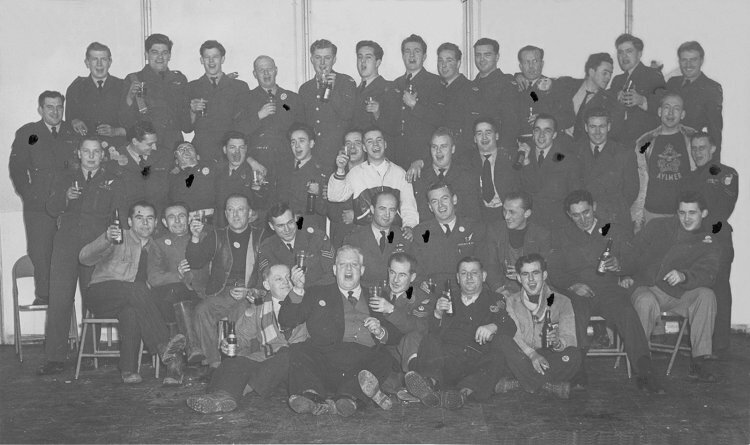 Larger image of the MSE section Christmas party photo - December 1952. 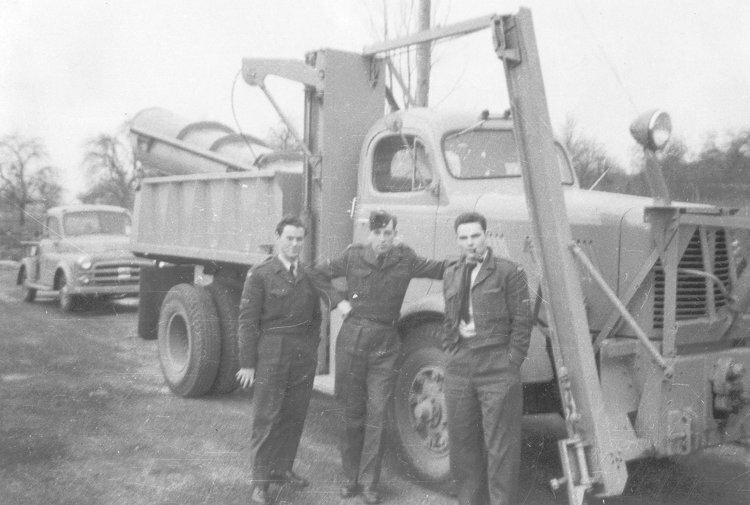 Ray Roy, Eric Jackson, Jim Vallier - November 1952. Movement of vehicles from LeHavre to Grostenquin, via Paris. 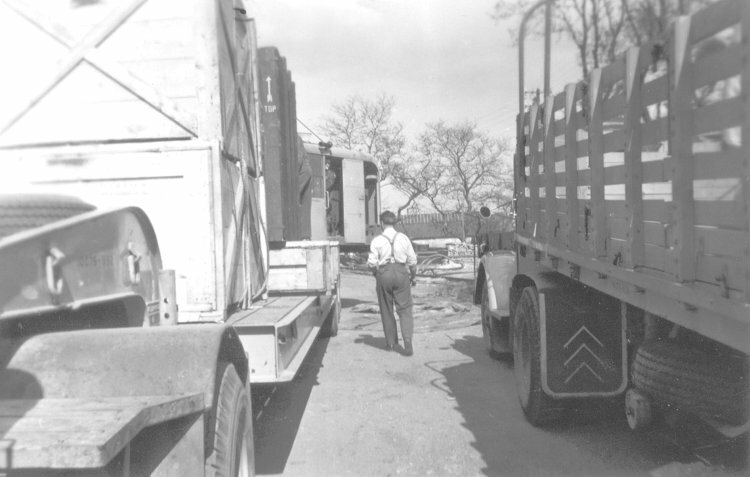 1952 Dodge pickup (far left) and a 1952 four wheel drive with a one way plow and wing. 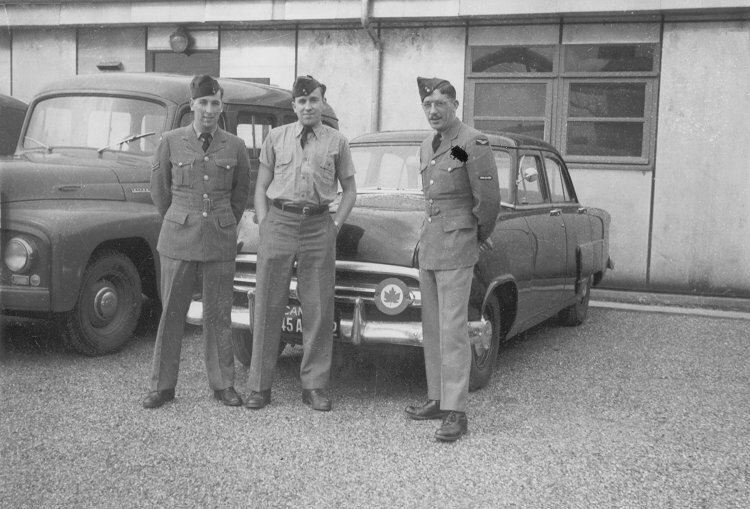 Ray Roy, Alan Richards, Jim Vallier - November 1952.